I have written here previously about my fondness for gumbo, okra notwithstanding. 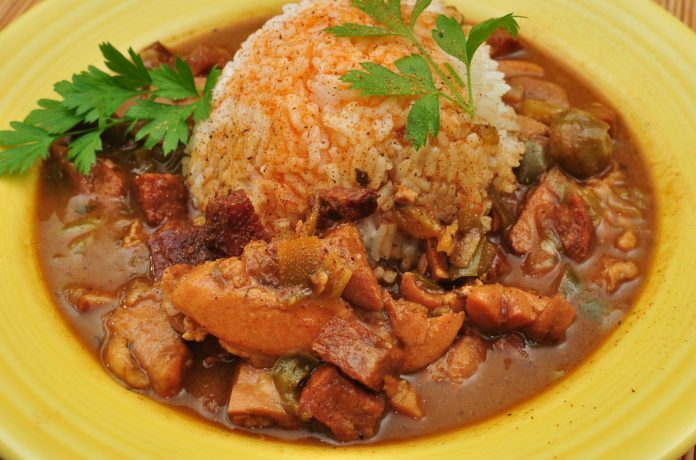 If you live in Louisiana, or near a restaurant that serves cajun cuisine, perhaps you can get gumbo any day of the year. If you’re planning to make it yourself, well, it’s a fairly big production—not something you’re going to throw together for the family in a half hour. But if ever there were a day to make that effort, National Gumbo Day would have to be it, right? And that, according to my handy calendar, is today, October 12. So round up some okra and get cooking!